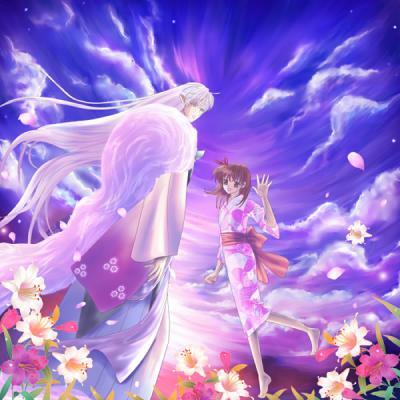 Sesshomaru and Rin, on a Lovely hari. . Wallpaper and background images in the Sesshomaru and Rin club tagged: sesshomaru rin anime fanart. This Sesshomaru and Rin fan art might contain buket, korsase, seikat bunga, buket korsase, and nosegay. best gambar i could find!